What do you think Thor is doing in this new image? 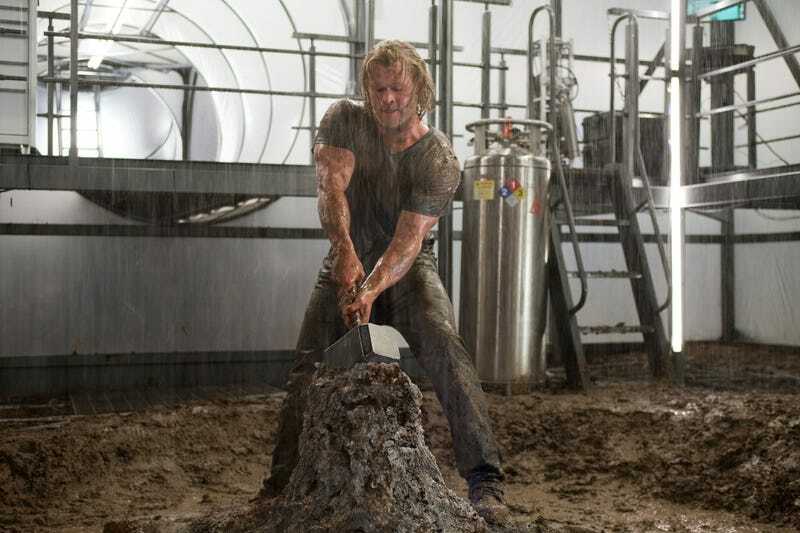 Fighting some kind of mud-related assault, or retrieving Mjolnir from its resting place? Whatever it is, it's making him sweat. Check out another Thor image below. What do you think? Is Chris Hemsworth your Thunder God?